offered a Moab edition, based on the Sahara platform, but priced and positioned between the Sahara and Rubicon trims. 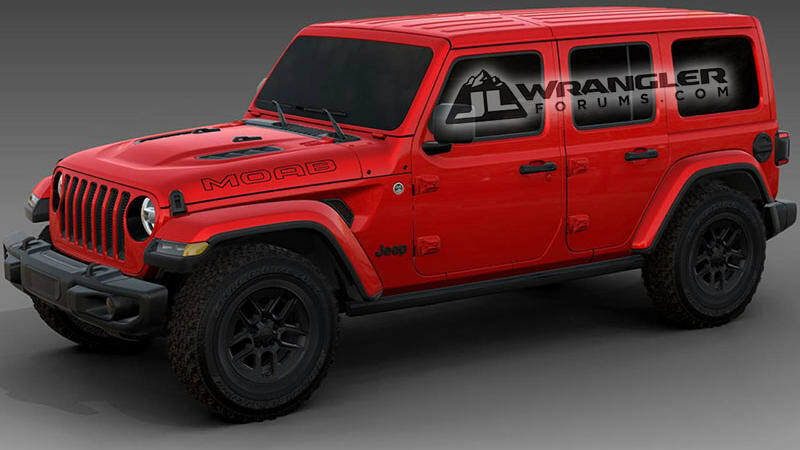 JLWrangler Forum members have now found the order guide for the new Moab edition, showing the same build philosophy but a bigger price. Only available on the four-door Unlimited bodystyle with the 3.6-liter V6 and eight-speed automatic, the option is said to retail for $51,200 before a $1,495 destination fee. That’s $52,695 out-the-door. website says, the Sahara targets those who want “a clean, polished look that’s at home wherever you take it,” whereas the Rubicon is for those who need to get an extreme kind of dirty. The Moab shoots the middle, going after Sahara buyers who want their additional premium equipment wrapped in real-deal rugged looks. KM2 tires. That tire choice is novel, because Rubicon comes on 33-inch BGF ALL-Terrain KO2s. The Selec-Trac 4×4 system pairs with the Anti-Spin limited slip differential, both of them normally options on the Sahara. Inside there’ll be the 8.4-inch Uconnect infotainment system piped through a nine-speaker Alpine audio system. Comfort treats include keyless entry and remote start, Mopar hardtop headliner, leather seats and leather interior group, and an auto-dimming rearview mirror. Jeep throws in blind-spot monitoring with cross-path detection and the ParkSense parking assist, and for a adventurous touch, there are Mopar all-weather floor mats.